Sophie Skelton is gorgeous as she hits the green carpet at the 2019 Global Green Pre-Oscar Gala held at the Four Seasons Hotel Los Angeles on Wednesday (February 20) in Beverly Hills, Calif. The 24-year-old Outlander star was joined at the event by her Day of the Dead: Bloodline co-star Jeff Gum, Tara Reid, Beau Mirchoff, Tan Kheng Hua, Amy Smart, Carter Oosterhouse, Ed O’Neill and Diane Warren. 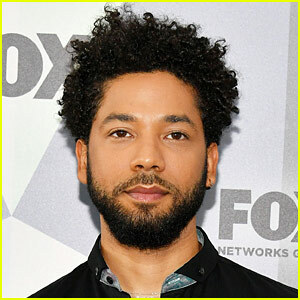 Also in attendance were Fran Drescher, Isaiah Washington, Michelle Kwan, Tia Carrere, Billy Zane, Jayni Luke, Chevy Chase, Jane Seymour, Frances Fisher and Ed Begley Jr. Global Green works to create green cities, neighborhoods, affordable housing, and schools to protect environmental health, improve livability, and support our planet’s natural systems; to address climate change and create resilient and sustainable communities. The 24-year-old actress and daughter of Clint Eastwood and Frances Fisher announced the happy news while attending the 2018 Environmental Media Association Awards on Tuesday (May 22) in Los Angeles. Francesca, who was joined by Frances, told the crowd about her pregnancy while presenting an award alongside her mom. No other details about the pregnancy are known at this time. This will be her first child. Francesca will next be seen in the thrillers Wake Up and A Violent Separation, which are both in post-production. 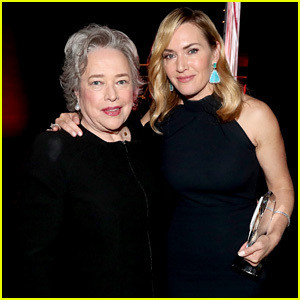 Kate Winslet poses for a photo backstage with Kathy Bates at the SAG-AFTRA Foundation Patron of the Artists Awards on Thursday (November 9) at the Wallis Annenberg Center of the Performing Arts in Beverly Hills, Calif.
Kathy presented the Actors Inspiration Award to Kate at the event! It was a mini-Titanic reunion for Kate and Kathy, who were also joined by co-star Frances Fisher. Can you believe it has been nearly 20 years since the film was released in theaters?! FYI: Kate is wearing Irene Neuwirth earrings.